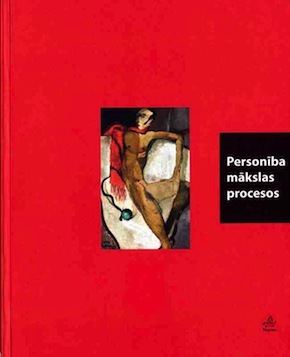 Both the subject of this article, the artist Niklavs Strunke (1894-1966), and the author of the piece, art historian Janis Silins (1896-1991), are of importance in the history of Latvian art. Silins was one of the most active authors in the field of art criticism in the 1920s and 1930s. After World War II he lived in the United States and wrote a several volume treatise, 'Latvian Art', which was published in Stockholm in the 1980s. This previously unpublished article about Niklavs Strunke was written by Silins in 1942 on the basis of a commission from artist Ludolfs Liberts, who at that time was working as the director of the National Securities Printing Bureau. Because of the war, the paper was never published. In this version Silins' text has been preserved exactly as written, although, judging from the handwriting on the manuscript, his wife Elza Silina did some corrections on the work. In the first part of the article the author reviews Niklavs Strunke's biography, looking at the lives of his parents, his childhood and his education. The story ends at the time when the article was written - the early 1 940s. Silins reports various humorous incidents from Strunke's career, as well as facts about the artist's life which had not been known publicly before then. Silins has said that he had planned to end the article with just this first part, but Liberts insisted that a second part be written so that Silins could review Strunke as an artist. In the second section, which is subtitled 'The Shapes of Art', Silins points to Strunke's special, 'non-academic' place in Latvian art, discussing the artist's emphasis on stylization, symbolism and archaic elements. The author points out Strunke's 'motor-like perception' and 'rhythmic, mimicking composition' as peculiar features of the artist's work The article also discusses Strunke's great love for Italian art, but because it does not, of course, cover the artist's life after the war, readers of this piece alone will not know that Strunke emigrated to Sweden, but continued to consider Italy as his 'second motherland'. After his death in 1966, he was buried in Rome.